Is Facebook Going to Launch its Own Web Browser? This week, Yahoo launched Axis, its own web browser. Considering Yahoo’s eroding reputation, and the fact that many sleek and popular web browsers like Chrome and Firefox are already well established, it will be a steep uphill climb for Axis. But Axis may not be alone in attempting to enter this fragmented, oversaturated space: Facebook is now rumoured to be in talks with Opera over a potential acquisition that would see the social network repolish the web browser into its own – not unlike how it bought Instagram, then launched a mobile app called Facebook Camera. 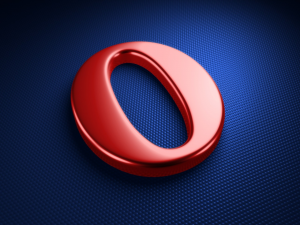 Pocket-lint heard from “one of its trusted sources” that Facebook is looking to buy Opera Software, who claims to have up to 200 million users across all of its platforms. Given Facebook’s user base of more than 900 million people, and the potential for deep, rich social integration, a Facebook browser would likely have a much greater chance for mass adoption than Axis – and could even legitimately threaten Google’s Chrome, Mozilla’s Firefox, and Apple’s Safari. Founded in 1994 by Stanford Ph.D. students David Filo and Jerry Yang, Yahoo! began as a hobby and has evolved into a leading global brand that has changed the way people communicate with each other, conduct transactions and access, share, and create information. Today, led by an executive team that includes CEO and Chief Yahoo Jerry Yang, President Susan Decker, Chief Financial Officer Blake Jorgensen, and… more.